Competition in the telecom industry is getting tight with every passing day. All telecom companies want to be best for their customers; some of them offer low rates, other try to attract more clients by offering versatile bundles. But the key to being on top or stand out from other gives all privilege to customers in one package at low rates. They should introduce a whole package that targets the maximum clients. Warid seems to know the secret of being favorite of users that’s why they always come up with something different for its both prepaid and postpaid customers. Not only they have low rates on all services, but they keep on introducing different bundles and offers as now they are fiving a Monthly Super Hybrid Offer for its postpaid customers. Getting all benefits at minimum charges is hard to imagine, but Warid is transforming our imagination into reality by offering all resources for a month in just Rs.200 per month. Postpaid customers usually don’t get a full package at reasonable rates so if you are getting an opportunity then you should subscribe to Monthly Super Hybrid offer by dialing *99*1#, or you can quickly send type “SHA” and send it to 7777. 1000 on-net minutes for unlimited calling. 1000 SMS to every local network in Pakistan. 1 GB of data volume for both 2G and 4G network. On all charges other than government taxes no tax will be added. Only postpaid customers can get this offer. WP, Warid Package customer, and Zahi users can subscribe to Super Monthly Hybrid Offer. 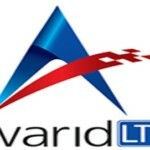 Calls can be made from Warid to Warid only. After consumption of all resource rates according to per package plan will apply. If you are a subscriber of WP-100 unlimited bundle, WP-500 Super Bundle, and corporate bundle, then this offer is not for you. Charges of the bundle will apply as advance pro-rated monthly basis. International roaming is not allowed in this offer. Dial *99*3# or send an SMS “SHC” to 777 for checking remaining minutes, messages and internet Mbs. If you are thinking to subscribe other postpaid packages by Warid, then you can deactivate Super Monthly Hybrid Offer easily by dialing *99*4#. Postpaid customers of Warid have a chance to get maximum benefit by this offer at cheap rates for 30 days. 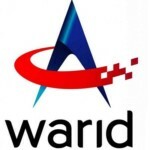 Warid always cares for customer satisfaction that is why they enhanced their package and lessened the rates so users can get more in low price.